Michigan Driver Responsibility Fees; It Pays to Fight Every Traffic Ticket! Since 2003, the State of Michigan collects Driver Responsibility Fees against driver’s when excessive points are abstracted on a person’s driving record (Category 1 Offenses). Fees are also collected for specific offenses, regardless of points (Category 2 Offenses). Drunk driving is an example of an offense categorized under Category 2. For example, a person who is convicted for Operating While Intoxicated is required to pay $1,000.00 per year for 2 years for a total of $2,000.00. A conviction for the lower drinking and driving offense of “impaired driving” requires $500.00 per year for 2 years in fees. These fees have been called a “death penalty for drivers” by State Rep. Joe Haveman (R-Holland). Haveman favors legislation which would phase out all driver responsibility fees and he has called the law a “cash grab” for the state at the expense of motorists, who can lose their license for non-payment. Traffic tickets are handled in the district Courts. In the district courts where we appear frequently, including : 37th District (Warren/Centerline), 38th District (Eastpointe), 39th District (Roseville/Fraser), 40th District (St. Clair Shores), 41-A District (Sterling Heights, Shelby Township, Macomb Township, Utica), 41-B District (Clinton Township, Harrison Township, Mount Clemens), 42-1 District(Romeo/Washington Township), 42-2 District (New Baltimore/Chesterfield Township), 72nd District (Marine City/Port Huron Divisions), 44th District (Royal Oak), many individuals are driving without a license and without insurance. They just cannot afford all of costs associated with traffic tickets and Driver Responsibility Fees. 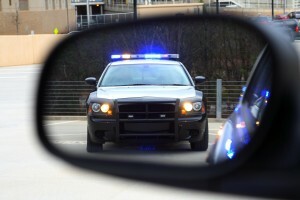 A major source of the problem begins when a person obtains a ticket, such as drunk driving, that requires substantial Driver’s Responsibility Fees. When the person cannot pay the fees, the State of Michigan imposes license suspension. The situation becomes compounded when the person continues to drive. Future tickets result in further periods of license suspension along with additional Driver Responsibility Fees that are imposed for excessive points or serious criminal driving offenses. The underlying cost for insurance is another financial barrier (in addition to Driver Responsibility Fees) when someone has obtained multiple points or a serious conviction such as reckless driving or drunk driving. Also, most insurance companies will not provide coverage for unlicensed drivers. The result is that many of these people will continue to drive illegally, and without insurance, while continuing to incur other traffic tickets and owing thousands to the State of Michigan in Driver Responsibility Fees. The Michigan Driver Responsibility Fees program requires monetary fees for drivers who Accumulate seven or more points on their driving record (Category 1), or are convicted of specific qualifying offenses (Category 2). Every driver who can avoid points or get a traffic offense reduced or dismissed should think of it as a good investment. Fighting every traffic ticket can mean avoiding points and saving thousands of dollars in Driver Responsibility Fees. When a ticket is serious or criminal, such as drunk driving or reckless driving, merely getting the charge reduced saves $1,000.00 in Driver Responsibility Fees. Keeping points or certain offenses off of a driving record can also keep insurance premiums under control.